Each year, California produces more food than any other state. But while Californians instinctively like and trust farmers and take pride in the state’s rich agricultural heritage, the public is regularly barraged with accusations that farmers waste water and are poor stewards of the land. 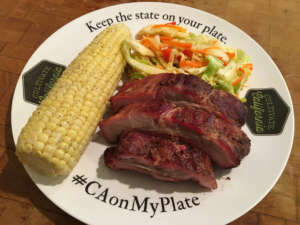 To counter that misinformation, grower associations and the Farm Credit Alliance have been engaged in an online educational effort since 2014 that this year has morphed into a targeted social media campaign called Cultivate California. Primarily utilizing Twitter, Instagram, Facebook and the Cultivate California website, the team provides fun facts about California agriculture as well as more serious messaging about water conservation and how growers and ranchers are good stewards of the land, said Mike Wade, executive director of the California Farm Water Coalition, which manages the program. The current campaign has several components, including targeted digital website ads, a “California on my plate” Instagram campaign that posts pictures and recipes of meals prepared using California-grown food, and stories of how individual farmers in different parts of the state are constantly seeking new ways to apply technology to water efficiency. Wade said the yearlong program, which began in June, has been a tremendous success so far. Through October, the campaign had drawn 147,000 unique visitors to the website and 179,000 page views, compared to just 3,000 unique visitors all of last year. Cultivate California now has 2,700 Twitter followers and 950 Instagram followers as well. Jeana Hultquist, vice president of legislative affairs with American Ag Credit, who also serves on the Cultivate California steering committee, said the state’s Farm Credit associations are committed to keeping California agriculture strong. “The CEOs of each Farm Credit association personally agreed to make funding available to continue to help this program go forward in conjunction with our other agricultural partners,” Hultquist said. “It’s a story about farmers who are faced with less water and being blasted by virtually everyone who loves to eat. Other program sponsors include Western Growers, the California Almond Board, Blue Diamond Almonds, Wonderful Orchards and several irrigation and water districts. Wade said the continuing attacks on farming and ranching will have a chilling effect on the state and the nation if they succeed in further reducing water deliveries.